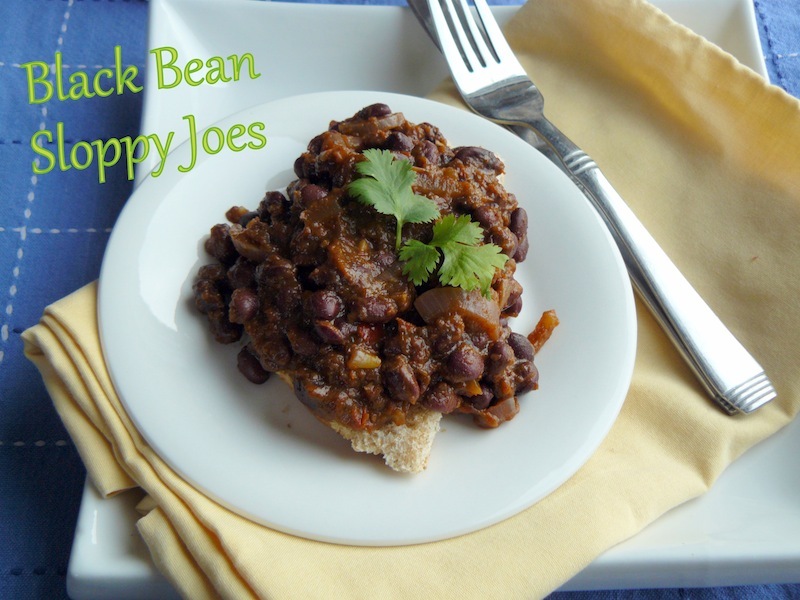 30-Minute Black Bean Sloppy Joes – Ashleigh Grange, R.H.N. When I told the man of the house that we were having sloppy Joes for dinner, he cheered! When he found out that there wasn’t any meat in them, he hissed and booed. Seriously, he was worse than a wild tomcat. Unfortunately, he doesn’t share my love of meatless meals, especially for so-called classics like these. Luckily, we managed to make it through that cat fight without any major injuries and I have to credit this delicious dinner for that. 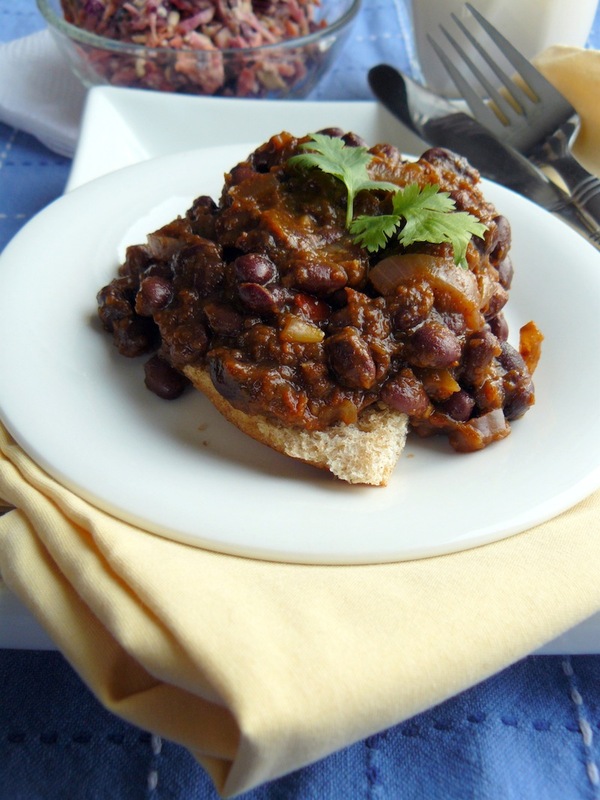 These black bean sloppy joes have a tangy, slightly sweet, smoky and spicy flavour that is often a crowd-pleaser and they couldn’t be easier to make for a quick lunch or supper. Indeed, dinner can come together in under 30 minutes start to finish if you use canned beans, though be sure to rinse them very well to get rid of as much of the sodium as possible from the canning water. Try these on for size when the weather is cold and dreary and you’re starting to feel sick of soup… you are aren’t you? Although I love all legumes, black beans are some of my favourites: with 15 g of protein per cup, they are an excellent source of plant-based/vegetarian protein. Protein consists of amino acids, which act as the “building blocks” of our bodies. Though the idea of protein might conjure up ideas of body builders and big muscles, protein is essential for everybody and every cell in our bodies. Literally, protein forms our muscles, tissues, organs, skin, hair, many of our body fluids and even our hormones! The body digests it more slowly than carbohydrates so it can also help stabilize our blood sugar to keep us feeling full, reduce food cravings and even help us lose weight if that’s our goal. I have talked about essential and non-essential amino acids in the past, so black beans are considered an incomplete source of protein in that they lack or are low in one or more essential amino acids. This just means that if you’re eating a vegetarian or vegan diet that you should strive to eat a wide variety of protein-rich foods so you have enough of the amino acids your body needs to function at its best. * The recipe calls for frozen cherry tomatoes but if you only have fresh, use them and just reduce the amount of water you blend with the tomatoes to 1 2/3 cups. In a large saucepan, melt the coconut oil over medium heat and sweat the red onion for 2 minutes or until translucent. Blend the frozen cherry tomatoes with 2 cups water and add to the saucepan. Add the garlic, black beans, salt, spices, coconut sugar and balsamic vinegar. Cook over medium heat for 15-20 minutes or until the mixture has reduced into a thick, sloppy sauce. Serve over quinoa, brown rice or buns of your choice. By the way, if you’re going to make this recipe, you need one item I haven’t mentioned: an extra large, preferably full-body bib, because this recipe is messy! I’m not exaggerating when I say that I literally had food covering my shirt, my pants, my face, my hair and my hands. I’m a rather messy eater but still… This dish is serious business! This entry was posted in Lunch & Dinner, Recipes and tagged allspice, balsamic vinegar, black beans, chile, dinner, garlic, lunch, meatless, protein, tomatoes, vegan, vegetarian. This looks delicious, I’m saving this to use for the weekend.